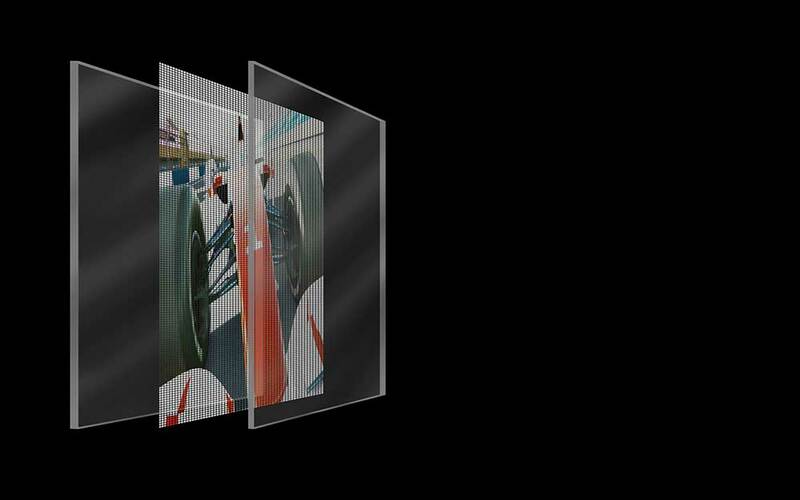 In cooperation with ONLYGLASS GMBH, Paragon now offers MEDIAFAÇADE, Media Wall façade system. 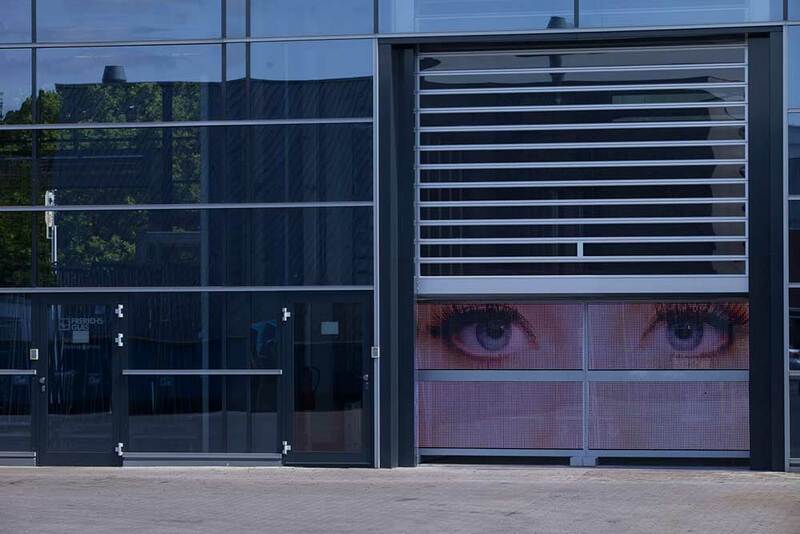 While typical media walls & media mesh products offer minimal transparency and are hung on to the building envelope, (increasing loading on the structure) MEDIAFAÇADE is distinguished by its high-level transparency. Utilizing LED strings inserted into insulated glass units (IGUs), the IGU maintains its full function as the MEDIAFAÇADE preserves the facades architectural intent & sophistication. Depending on the pixel pitch, the light and view, transparency is between 80% (20mm pixel pitch) and 96% (100mm pixel pitch). 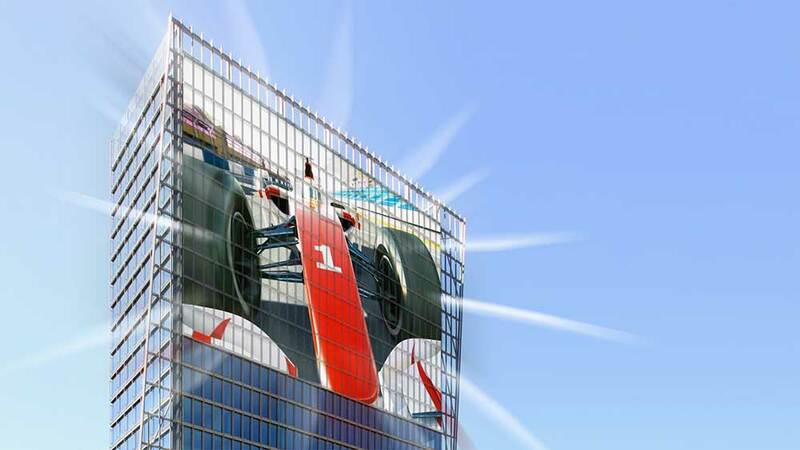 MEDIAFAÇADE can also be configured as a curtain wall system (aluminum framed system) or as a point-supported (structural glass wall system), providing daylight for interior occupants and an exterior canvas for advertisement and artistic media. With an additional maximum weight less than 0.75 # / sq. 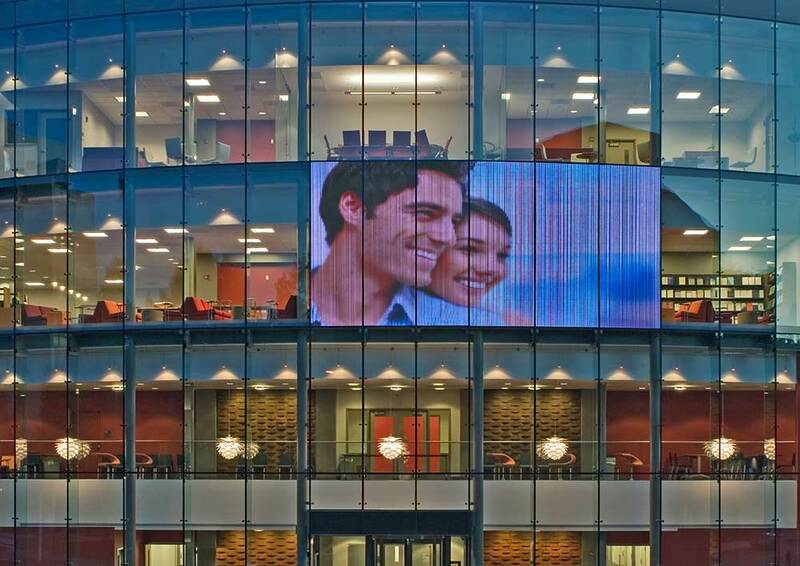 ft. MEDIAFAÇADE is lightweight and causes no further structural expense. 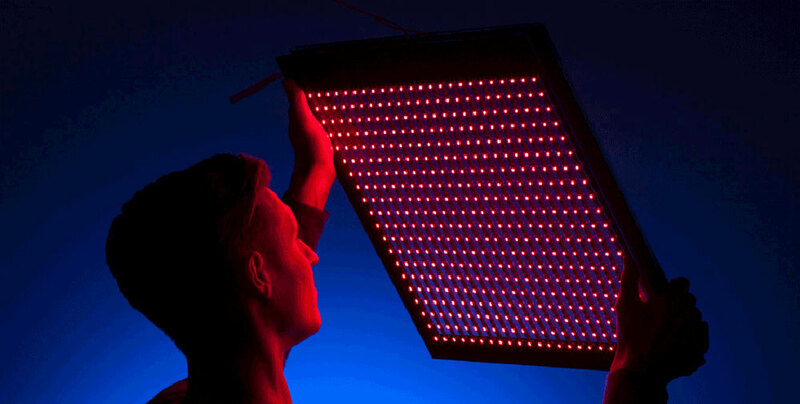 With around 1 billion colors (10bit) and a pixel pitch of at least 20mm MEDIAFAÇADE has an extremely efficient display. Even in daylight the overall picture has a high resolution and is clearly discernible to a large extent. The same also applies to moving images. MEDIAFAÇADE opens new possibilities for communication in urban space offering new, creative perspectives for architects and urban planners, & for artists and advertisers. © Copyright Paragon Architectural Products, LLC.